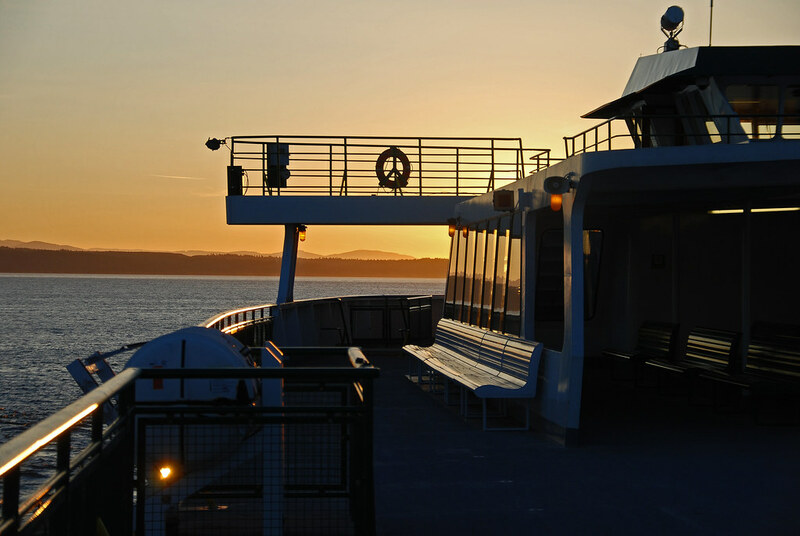 The PUYALLUP is on her way north to Anacortes and Burrard Inlet. 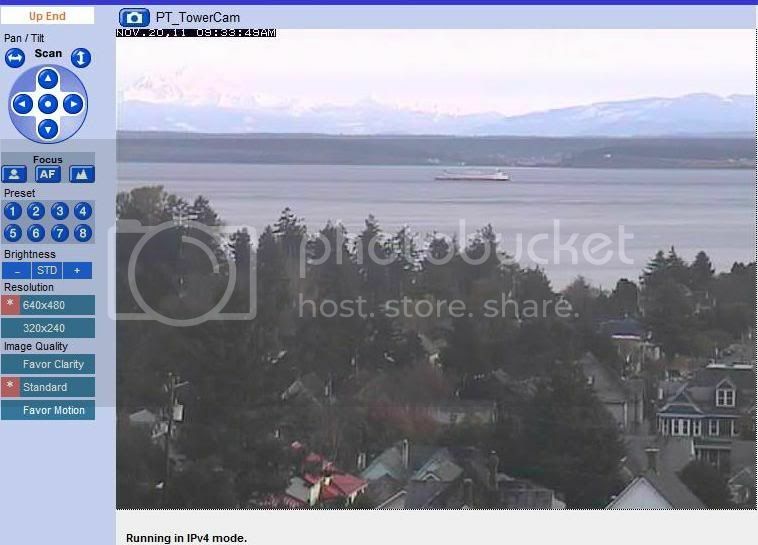 The ship trackers show her passing Double Bluff at 0850PST. 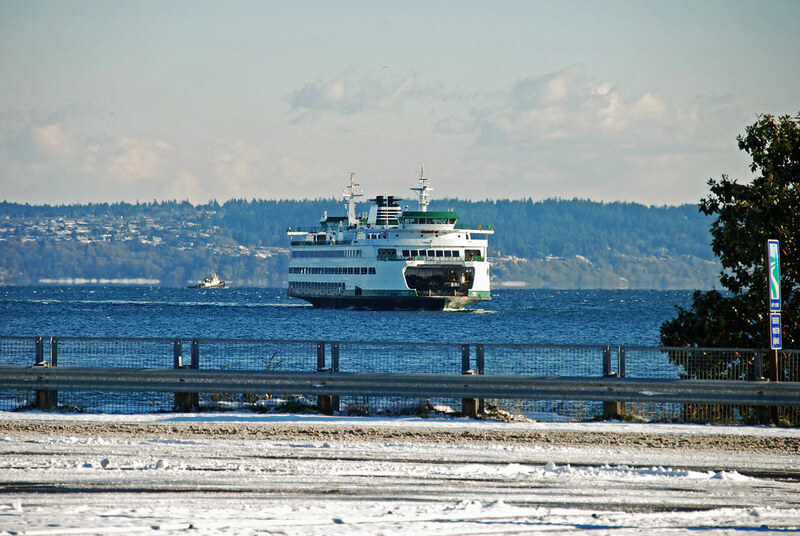 The PUYALLUP passed by Port Townsend. 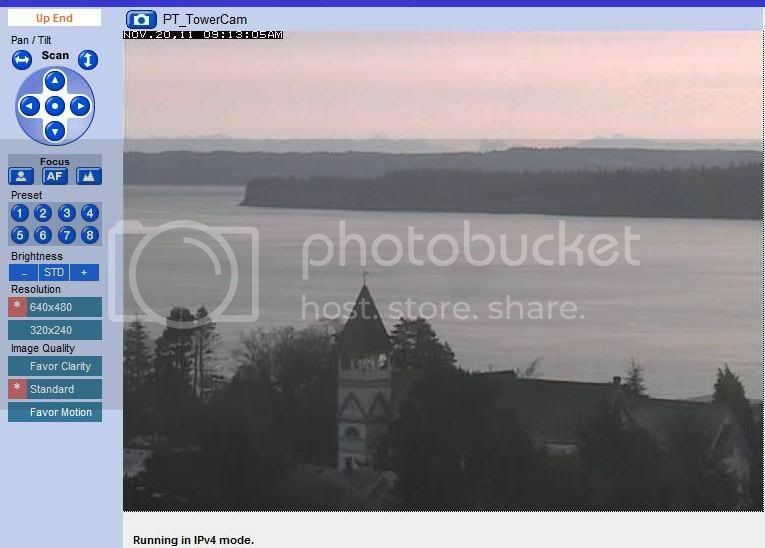 It's a beautiful morning at Port Townsend. The valley containing Stevens Pass Highway is clearly in view. I can't keep myself from admiring that beautiful Mount Baring, that laid back mountain. Mount Index is to Baring's right. PUYALLUP in sight. 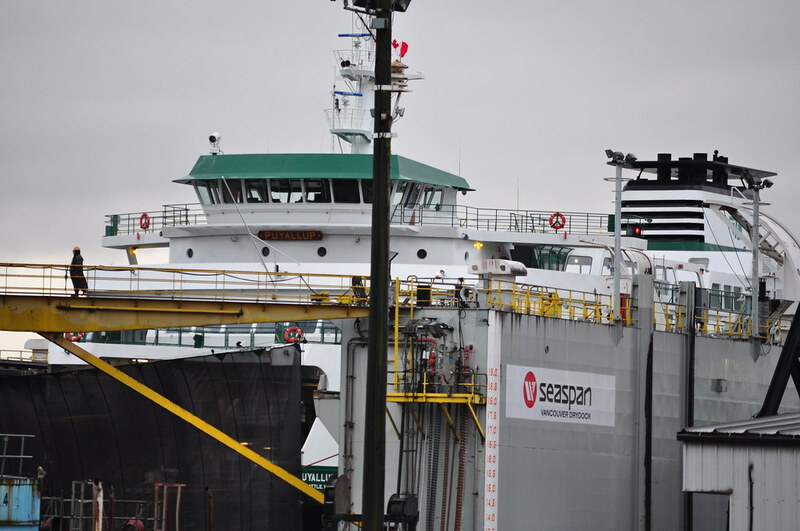 She's meeting the southbound tug SEASPAN MONARCH. Glacier Peak is another beautiful mountain as the PUYALLUP passes under. And, the "great white watcher" Mount Baker. Going out of camera range. 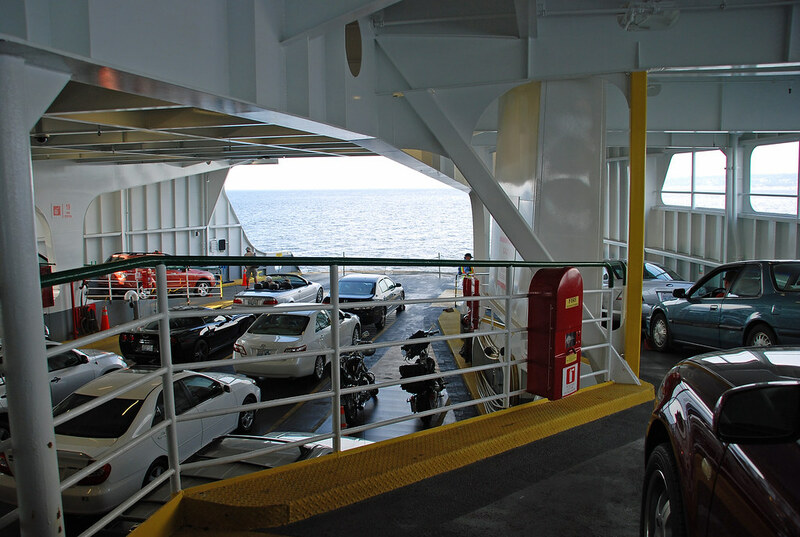 Back to normal ferry viewing from Port Townsend. 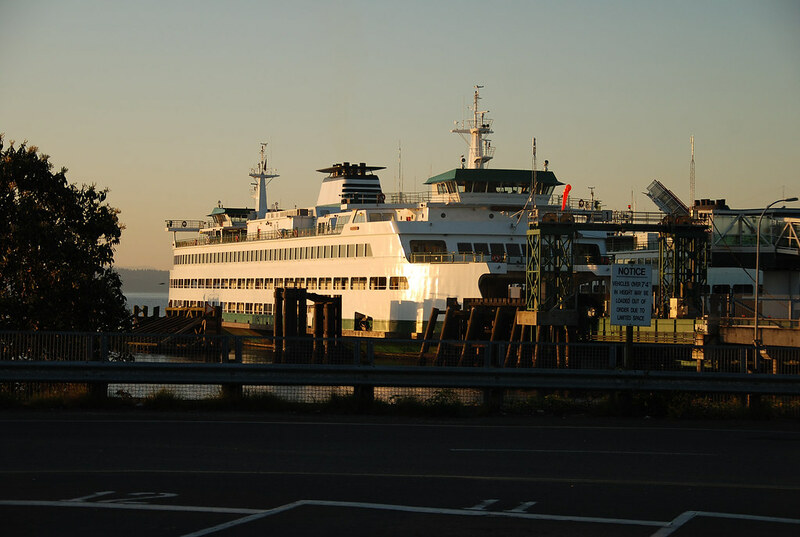 The SALISH is on another crossing to Keystone Harbor at Coupeville. 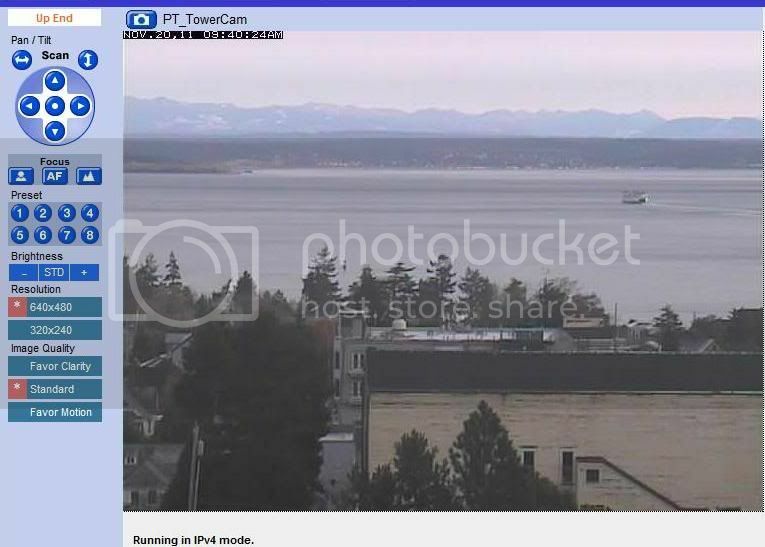 The PUYALLUP is in Anacortes. 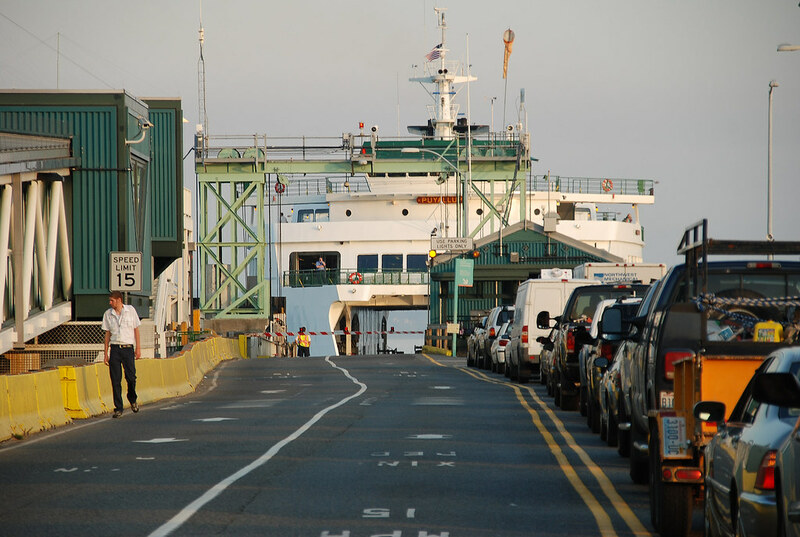 She's one giant ferry in Anacortes! 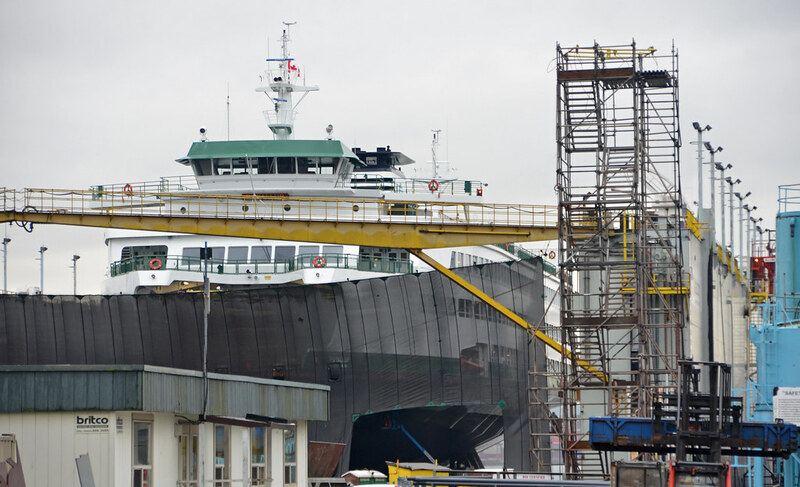 She'll be outclassed in BC, though, by the SPIRIT OF BRITISH COLUMBIA, SPIRIT OF VANCOUVER ISLAND, COASTAL RENAISSANCE, COASTAL INSPIRATION, and COASTAL CELEBRATION BC ferries. The PUYALLUP has one advantage over the QUEEN OF COQUITLAM, QUEEN OF COWICHAN, QUEEN OF ALBERNI, QUEEN OF OAK BAY, and QUEEN OF SURREY II. She's three feet longer than those five Spaulding cousins. In light of the recent activity of Puyallup (i.e. 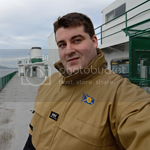 going up to Vancouver for drydocking), I am going to re-post some of my puyallup pictures taken over the years in the larger size format we are able to use. 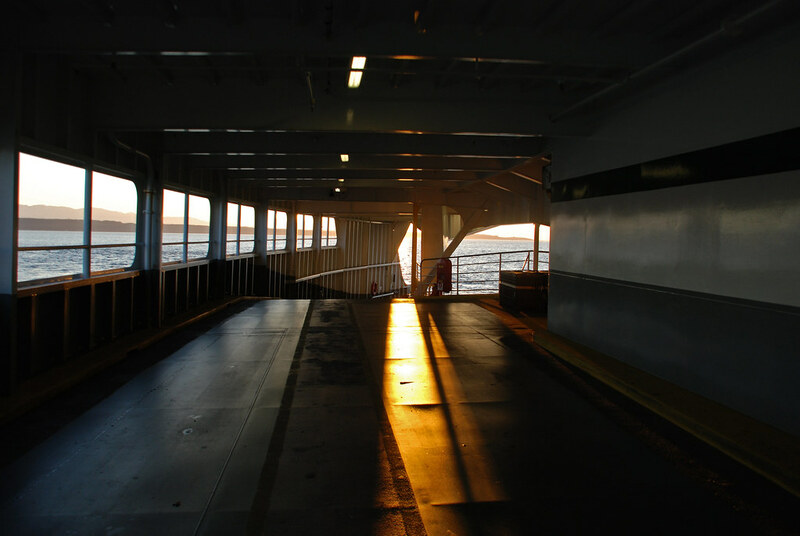 This is sort of my "Best-O-Puyallup", so now that I have done this, I am looking forward to seeing some pics here of our fine ferry in BC waters in a few days. You know, I really like the looks of the JMIIs. I know a lot of people here like the original Jumbos better, but I really like the "sleeker" modern look the Mark IIs have. 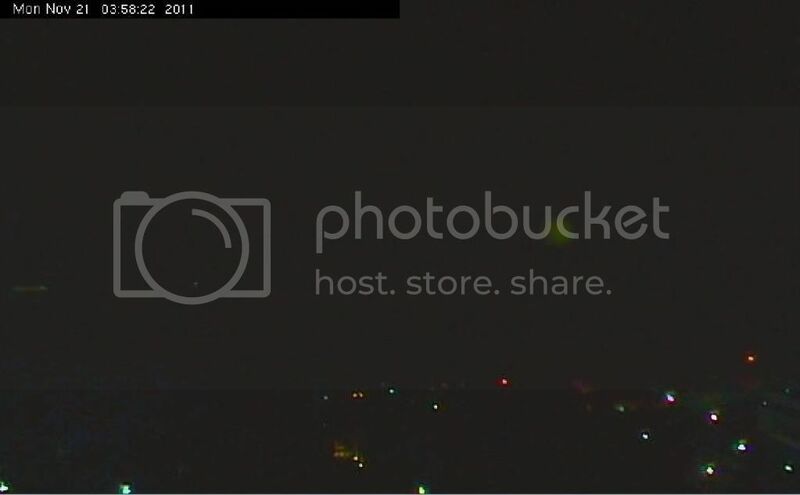 Thanks for putting those pics up! 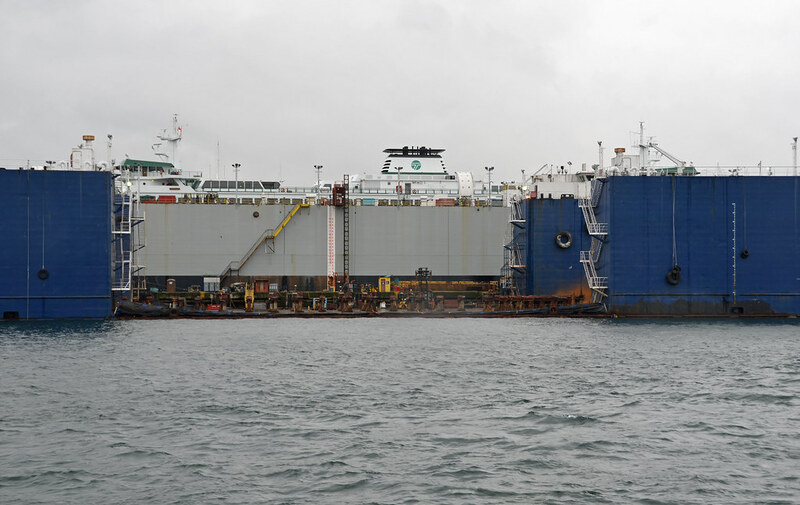 The PUYALLUP has left Anacortes under the tow of the tug OCEAN RANGER. 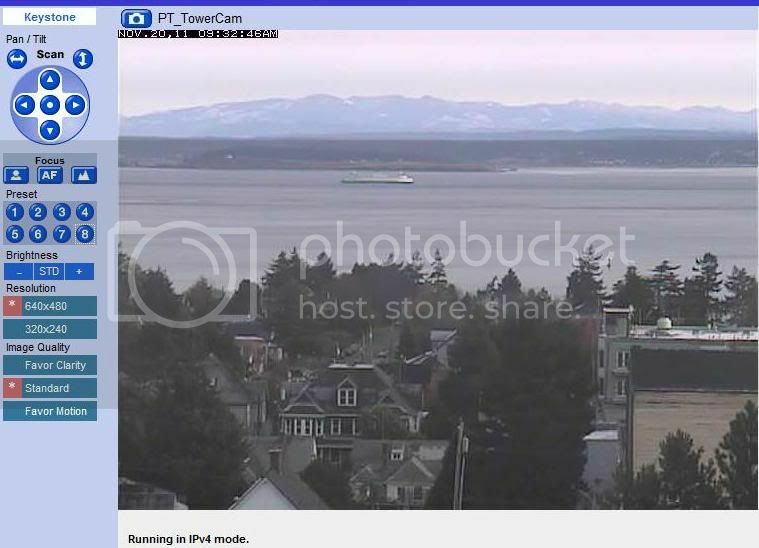 At 2335PST, the tug OCEAN RANGER with the PUYALLUP in tow crossed the Tsawwassen - Active Pass ferry lanes. The PUYALLUP had her bigger counterparts COASTAL RENAISSANCE to her starboard, made fast at Tsawwassen, and the COASTAL INSPIRATION ahead of her by more than ten miles, heading to Duke Point. 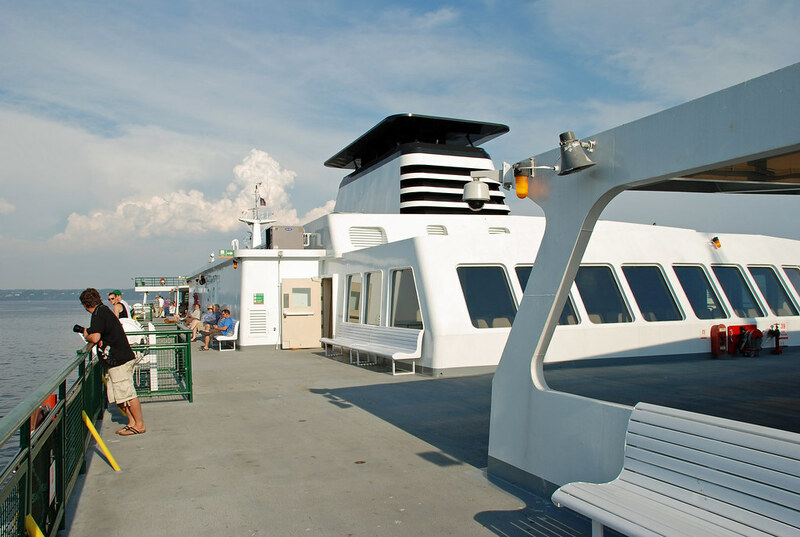 She'll be meeting the Tsawwassen bound QUEEN OF NEW WESTMINSTER from Duke Point soon. The tow is advancing at around ten knots. At 2350PST, the tow crossed the horizontal international border line. 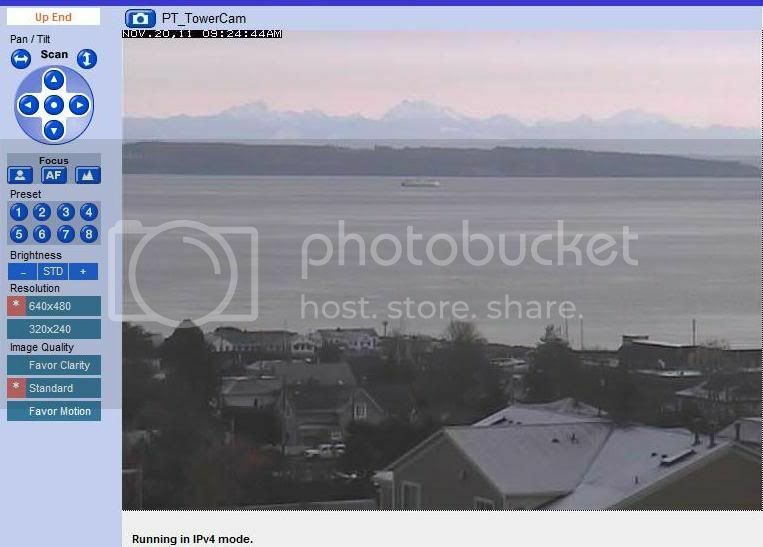 The PUYALLUP is now on Canadian waters. It's now Monday, November 21, 2011. 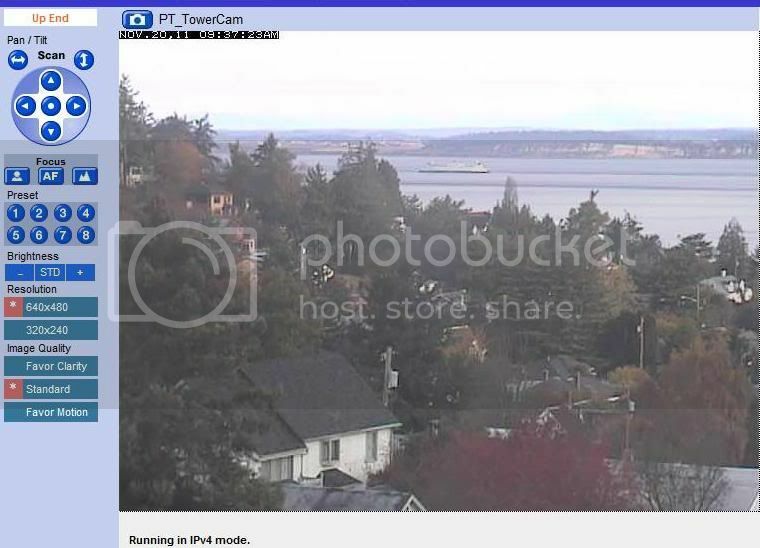 At 0015PST, the tow met the QUEEN OF NEW WESTMINSTER and are nearing the mouth of the Fraser River as they continue up the BC Salish Sea to Burrard Inlet. 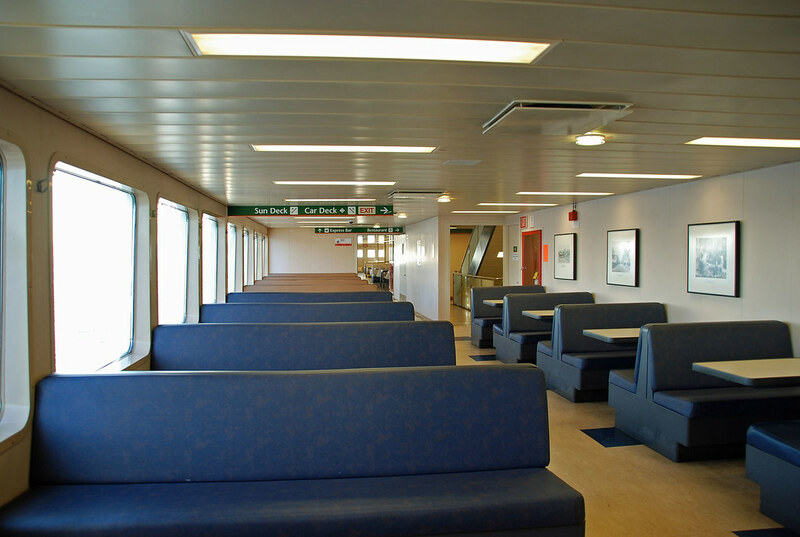 I think it's worthy to mention the ferries at Deas VMC: NORTHERN ADVENTURE (QUEEN OF PORTHOLES), cousin QUEEN OF COWICHAN, and the BOWEN QUEEN. It's past 0300PST and the PUYALLUP has arrived in Vancouver Harbour. 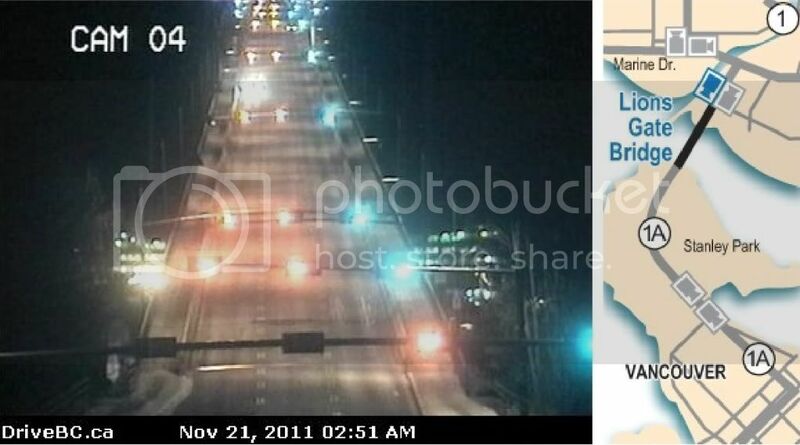 And we advance to the Lions Gate Bridge. Very lucky on timing. I catch her directly under the bridge! 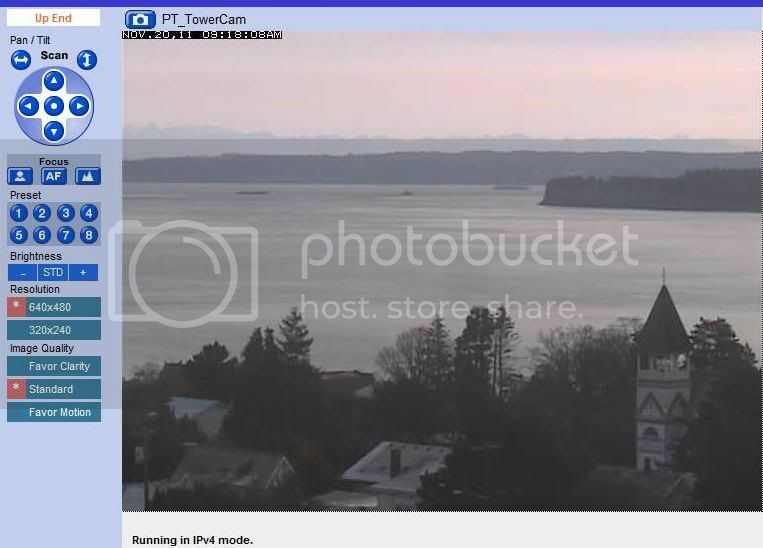 This cam is looking south. 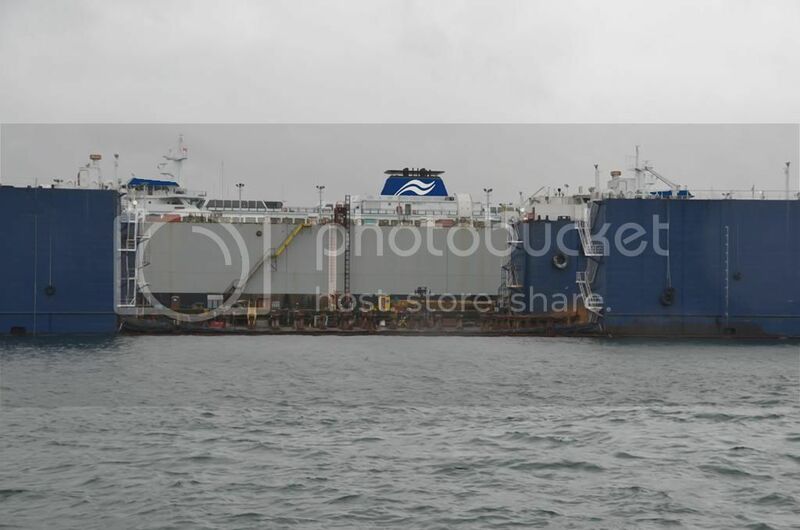 Outside in English Bay, the tow was met and surrounded by the tugs CH CATES I, CH CATES II, and SEASPAN FALCON. 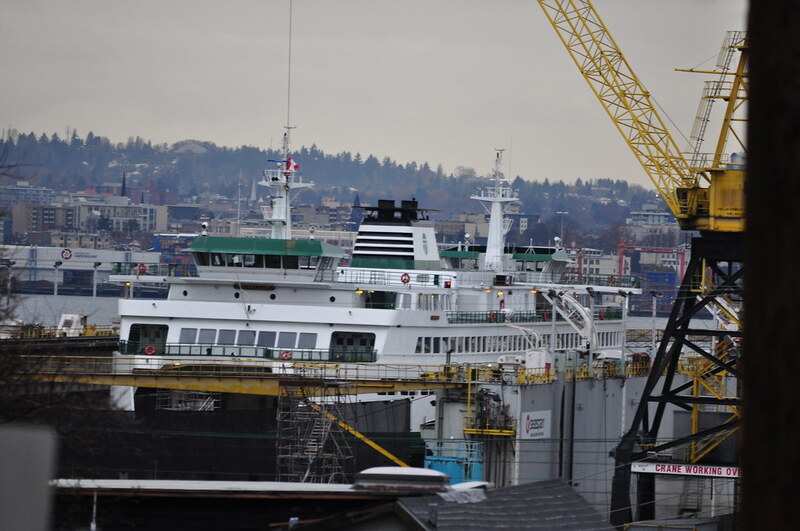 The PUYALLUP will be in the drydock shortly. We'll await our Canadian forum members' photos of her there. 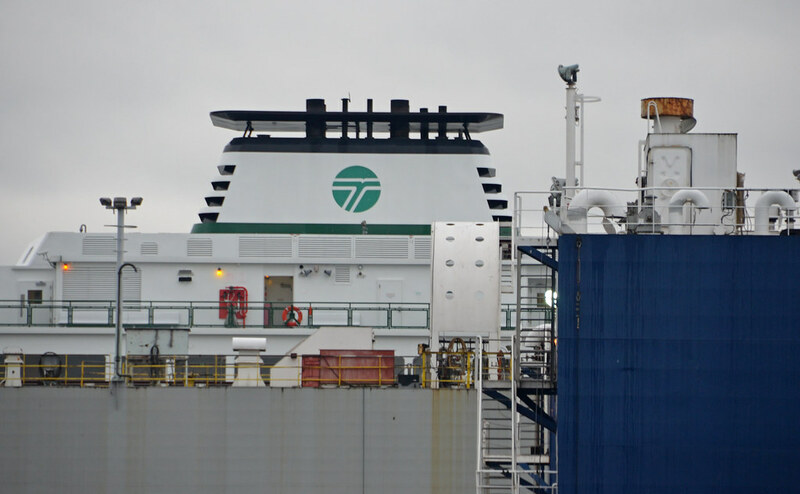 WELCOME TO CANADA, MV PUYALLUP! 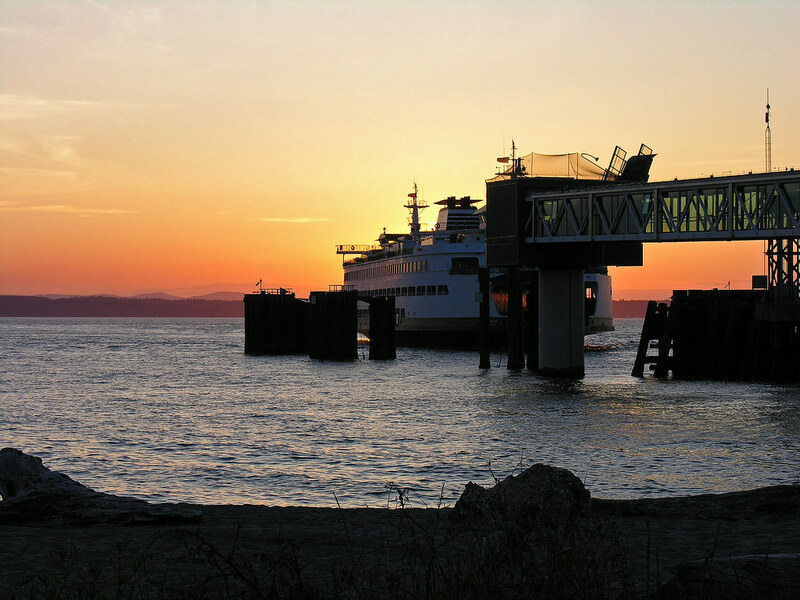 maintenance schedule online at www.wsdot.wa.gov/ferries/service." "limited staff"...They have a way with words. They must have sent crew on the boat to stay with it. 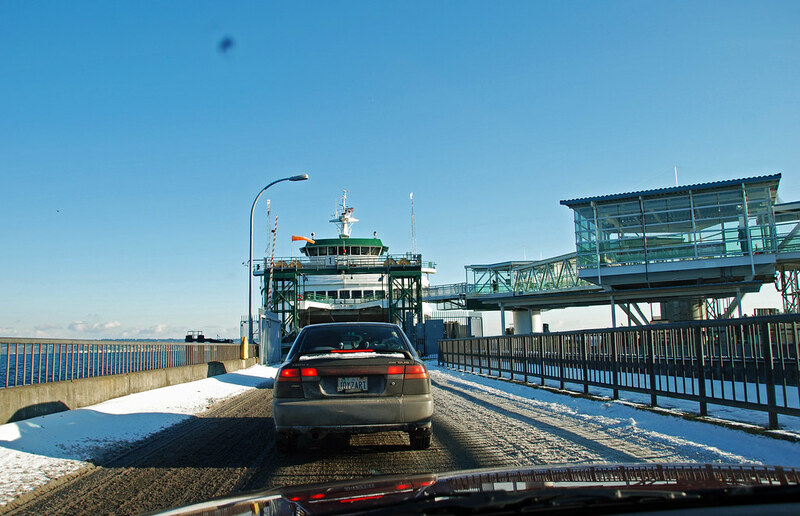 I wouldn't imagine they would want to pay mileage to/from Vancouver. 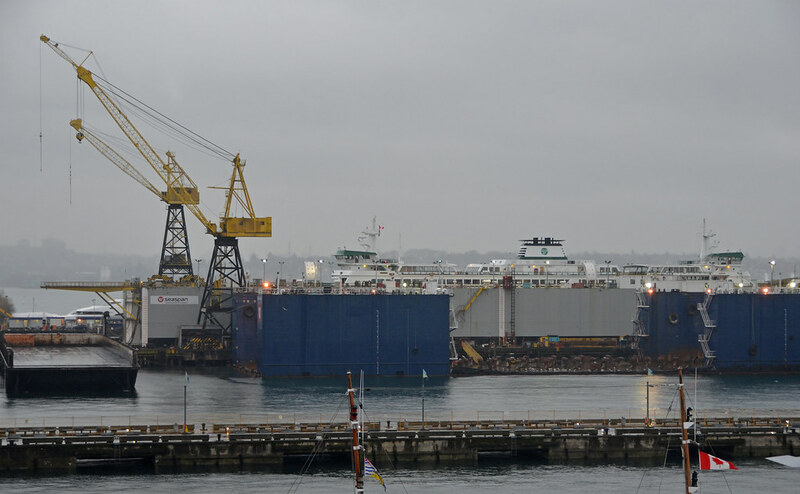 I wonder if there will be any noticeable changes that other WSF boats don't get. New, bilingual signage, perhaps. Metric fittings, maybe. Molson on tap in the galley if we're lucky, Labatt's if we aren't. Perhaps, if you are really lucky, a nice portrait of HM Queen Elizabeth ;D.
Perhaps a dogwood would be a nice souvenir of her visit to BC. We checked up on PEW-AL-UP, our international guest this afternoon, and I can confirm she will sail for the WSF with your favourite wood paneling, olive-green seats and green slug carpeting. Ah, the fun of retouching a photograph! Don't worry, WSF fans. 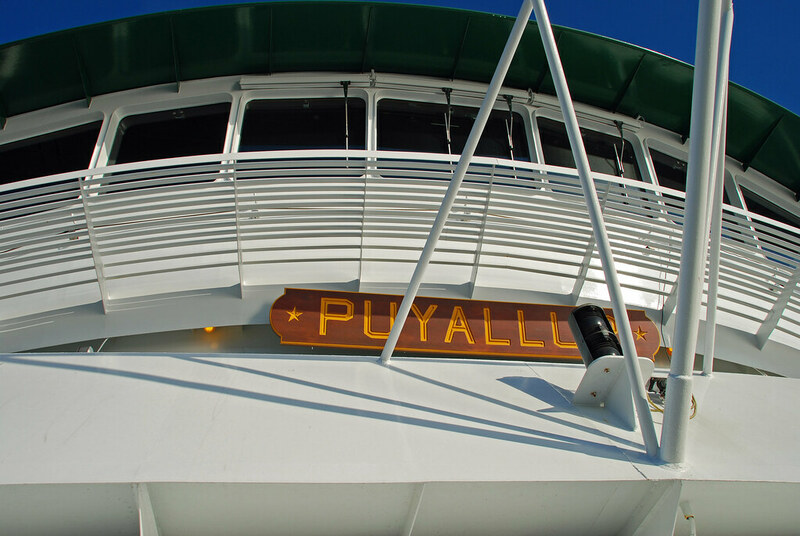 Our PUYALLUP is still green and white. Our Canadian friends are just having fun! 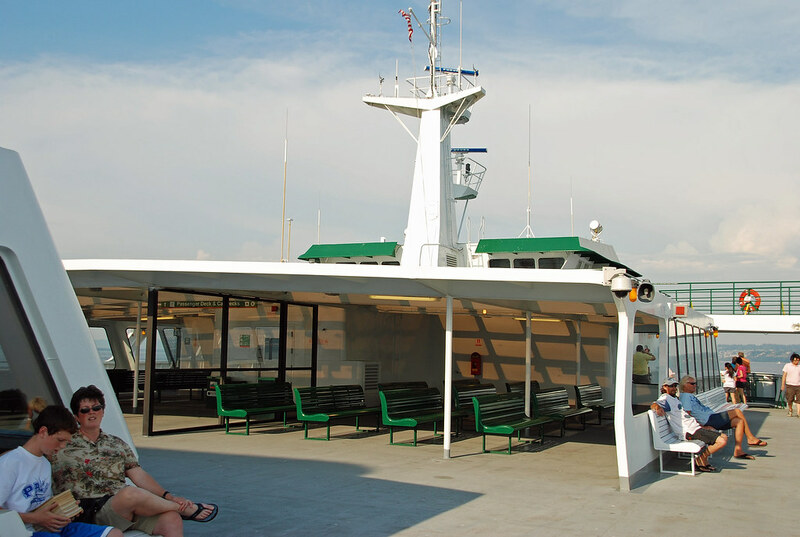 So neat to see one of our ferries in North Vancouver, British Columbia. 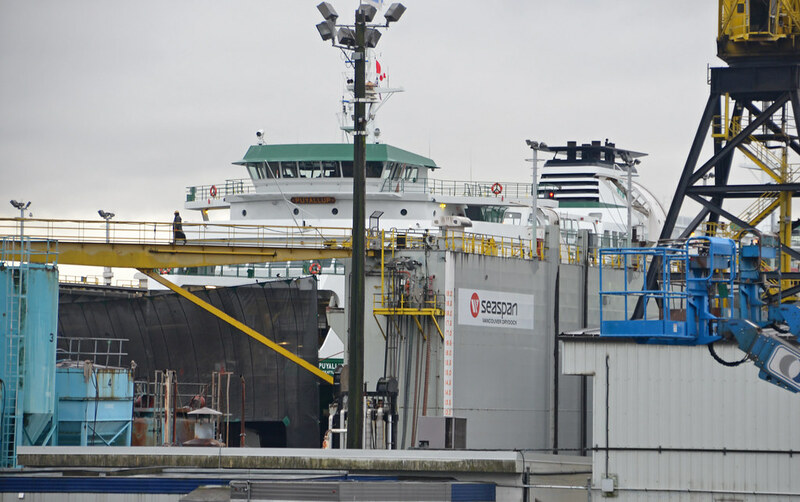 Almost wish a BC ferry was there at the yard as well to add some flavor to the mix. Random fact: This unique opportunity has allowed me to finally photograph my first WSF vessel! 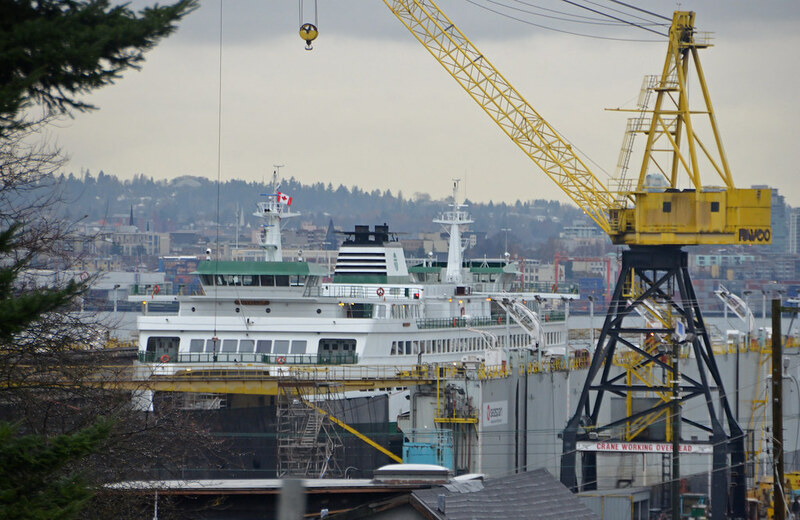 It's so neat to see a Canadian flag on the End Number One mast of the PUYALLUP. She looks like an international ferry with that fancy stack of hers. Sort of like a cruise ship in a way. 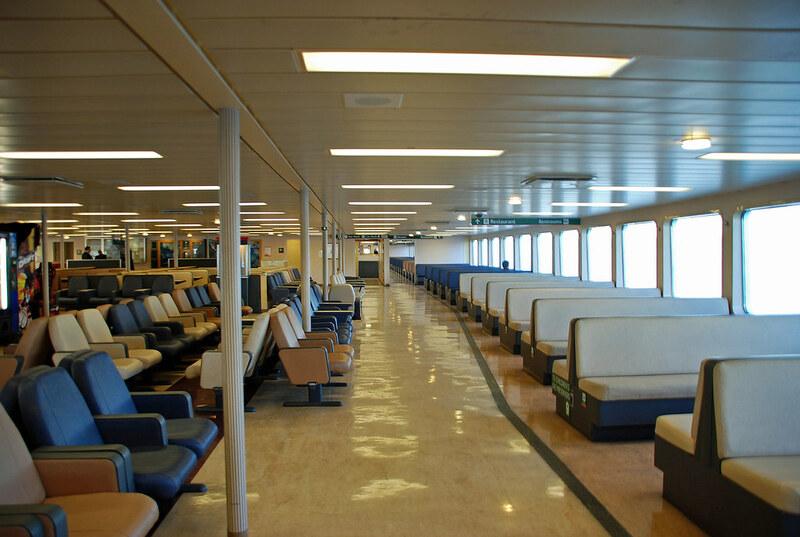 That picture of the PUYALLUP with the newer BURRARD PACIFIC BREEZE can win you a good prize! 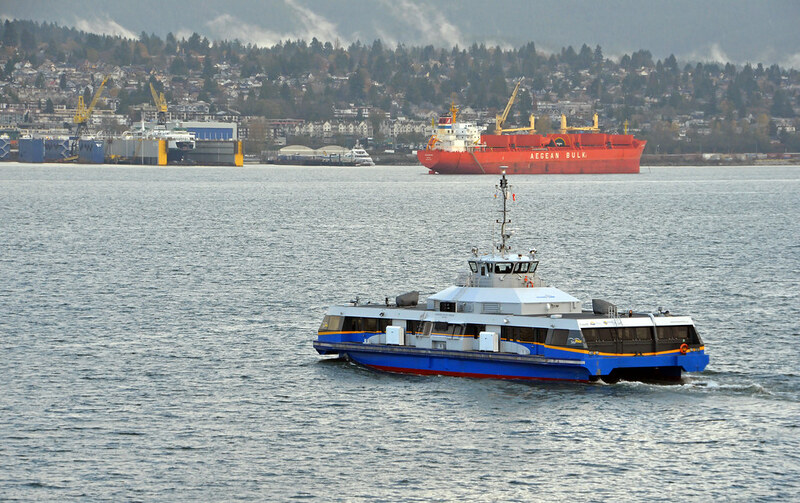 A WSF ferry and a TransLink SeaBus in the same picture is really neat. Something you don't see everyday. :)not very often we see evergreen colours in North Vancouver, but they sure are an improvement over the regular slug menu!mrdot. :)what a sick joke your slugs over the evergreen are! mrdot! 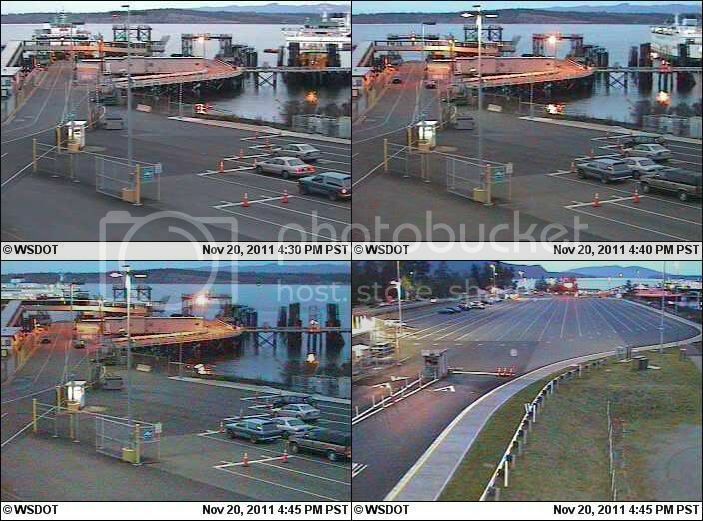 Nice photos of Puyallup at VDD. Thanks for sharing, Scott! Pretty much the same photos Scott had, I was just waiting for him to "break the bad news"
:)I need to thank you for posting this material, and I hope my admonishment for the slugs is not a little too harsh, as I am very sensitive on this matter! 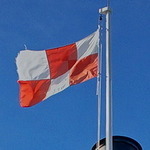 the Canadian ensign is the most we should place on a still historical livery! :)mrdot.